It was one of those days that sledders dream about – groomed trails on a big base of packed snow, not too cold with a little sunshine poking through the clouds. That was the scene last Saturday, as sledders in the Schroon area made the most of some of the best conditions in recent seasons. For non sledders, there’s nothing like being on a trail and zipping through pine trees, taking in all of the wilderness that makes up the Adirondacks. We took off from Paradox Lake, made our way through the old golf course between Schroon and North Hudson, and ended up at the new Paradox Brewery site on the old Frontier Town Property. After gassing up at Moe’s Sunoco, we headed south through Schroon on the trail that takes you by the he Fish and Game Club and golf course before taking the Pottersville trail and hopping off at the exit near the current Paradox Brewery Tasting Room, where we ended our adventure. Takeaways of the day: you see and appreciate the tireless efforts of volunteers from Schroon-North Hudson Snow Mobile Club. They have done a remarkable job of trail grooming, trail maintenance and making sure the trails are well marked with new signage. 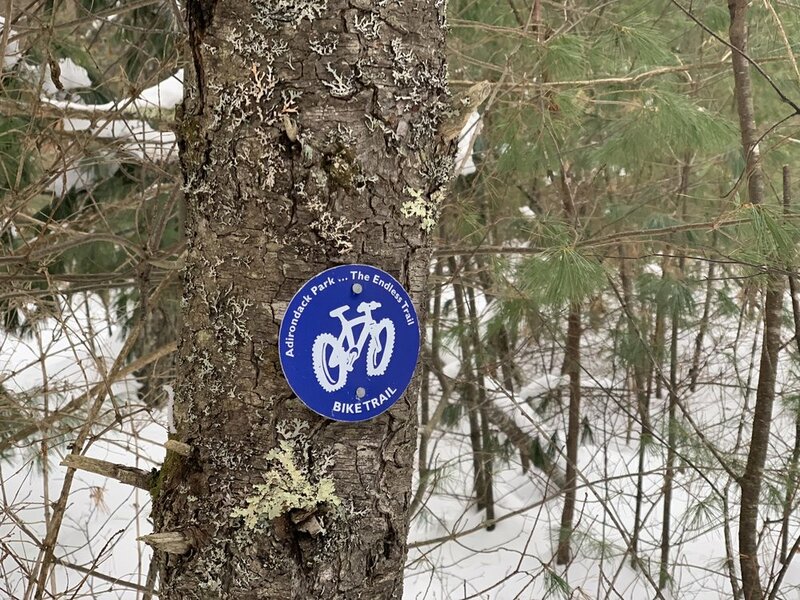 On rides like these there’s always something new to discover: I had idea North Hudson had a trail system for mountain bikes until seeing the blue markers. There will be dozens of riders out this Saturday for the Annual Poker Run. If you are driving on Route 9 please watch out for sledders. From first-hand experience it’s helpful if you drive with your headlights on. Both sides benefits. On February 16, there’s also the Mark Heinzelman Charity Poker Run. All money raised helps out locals families. See the story below for all of the details on this year’s Poker Run.